There are a number of options for Fort Myers Beach parking! Here you’ll find information on parking in Town, County and private lots. We also have listed here the handicapped parking policies for the Town and County lots. Please click here for information on obtaining a disabled parking placard in Florida. There are numerous privately owned lots for Fort Myers Beach parking. Most of them are on the north end of the island along Old San Carlos Blvd. and Crescent St. as well as the first stretch of Estero Blvd. heading south. These lots charge a daily rate that varies between $5 to $12 per day. Hours of operation vary depending on the lot. 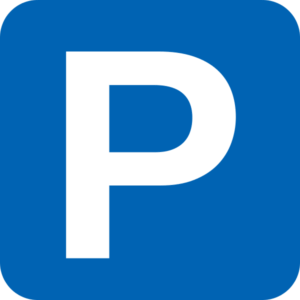 Short term parking, or metered parking, is located on Old San Carlos Blvd., Estero Blvd., Center St., and Fifth St. These metered spaces have a two-hour time limit and cost $3 per hour. If you possess a valid handicapped parking placard or license, you may park at any Town-owned metered space as long as a handicapped space is unavailable to you. Parking in these instances is free, but a time limit of four hours will be enforced. First make sure you are legally parked. Then read the instructions on the paystation or meter. Should you have any questions or problems, you may contact B.A.S.E. at (239) 463-5888 during business hours 9:00 A.M. -9:00 P.M. seven days a week. This number is also provided on each paystation and parking meter. The Town of Fort Myers Beach has recently implemented 10 new pay stations at the following locations: Newton Park, Connecticut Street Beach Access, Palm Avenue Beach Access, Old San Carlos and under Matanzas Pass Bridge. These new pay-by-space pay stations allow visitors to park, take note of what parking space they are in, pay at the pay station and go directly to the beach without returning to display their ticket in their car. Meters are monitored 9:00 am – 9:00 pm, seven days a week including all Holidays. Town personnel look for expired time limits, overtime parking, and parking violations (i.e. parking in the wrong direction). You can purchase an annual parking pass from Lee County for $60. It can be used in many Lee County Parks locations. However on Fort Myers Beach it can only be utilized at Bowditch Point Park. Click here for more information on the parking pass. If you plan to visit the River District in downtown Fort Myers please click here for parking information. 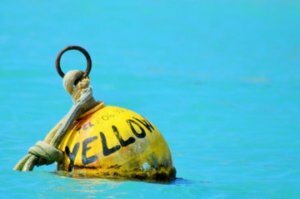 Mooring ball rental fees are $18/day, $103.00/week or $312.00/month which includes taxes. All renters MUST register with Matanzas Inn upon arrival. The rental fees include Pump-out service. Guests of the mooring field are eligible for a six month parking pass. Click here for more information and an application. Rather Stay At A Marina? Click here for information on Fort Myers Beach marinas. For more information please visit the Town of Fort Myers Beach and the links to the Lee County Park websites above.